What's your dangling carrot today? I really need to go do my labs today, but I'm lazy and I hate getting my blood drawn. I already spent the morning tidying up my place and hand washing my bras. So, I'm trying to convince myself that if I go do my labs, I can make ribs and barbecue sauce later. It doesn't seem to be working. Maybe I need to motivate by making something else or coming up with some other self reward. 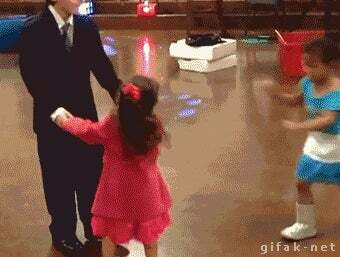 As a reward for you reading this inane post, here is my favorite gif ever.